On the 30th of January 2016, thousands of Nagpurians with black ribbons strapped around their mouths marched out on the street to protest against the death of Rohith Vemula, a Dalit research scholar from Hyderabad University. The ribbons were tied symbolically to indicate the voices of marginalised people like that of Rohit Vermula being suppressed and their rights being denied. 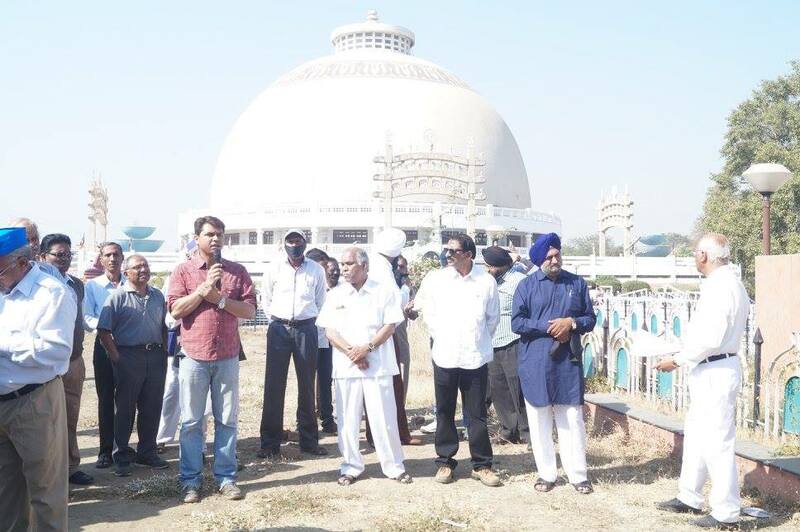 In order to fight for Rohith’s case and such discrimination based on caste, thousands of people from around 50 different organizations gathered at Deekhshabhoomi, the place where the great Dalit leader Dr. Ambedkar embraced Budhhism to do away with the caste system. 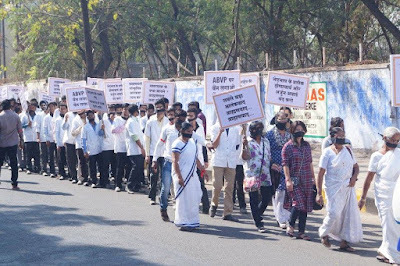 The long procession of the silent Peace March began from Deekshabhoomi to Tulsibaugh Square which is of approximately 7 km distance. Leaflets were distributed to people during the march with the message that Rohith Vemula was a victim of caste system, and that such institutionalized murder is highly condemned. The National Council of Churches in India (NCCI) with the initiative of Mr. Pradip Bansrior, the Executive Secretary for the Commission on Dalits & Tribals/ Adivasis, actively participated in the march. Mr. Bansrior addressed the gathered mass about the pressing issue. It was an event that saw people from different walks of life, faith, age and gender transcending their differences and, coming together for Justice and Rights. This unity march of around 50 organizations also formed a forum, “Rohith Vemula Fights Back Forum” to fight the caste system together. Rohith Vemulla’s tragic death has surely challenged our nation to urgently pay attention to its nonchalance towards caste based atrocities.